Three authors from Assam have been nominated for the Sahitya Akademi award this year. Around six authors have won the award this year. Bal Sahitya Puraskar winners from the state are Jugallochan Das for his Assamese novelXonbali Bagisar Bhoot and Sitaram Basumatary for his ollection of short stories in Bodo, Gotho Gothaini Solo Bhata. Yuva Puraskar winner from the state is Bipasha Bora for her short story collectionMou Makshi Samrajya. 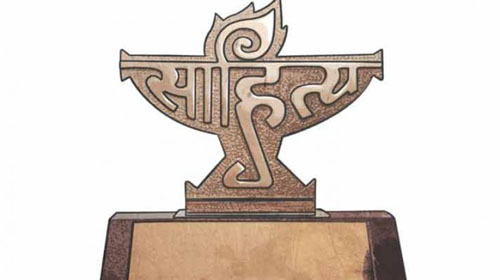 The Sahitya Akademi on Friday announced the names of 21 winners of its Bal Sahitya Puraskar and 21 recipients of the Yuva Puraskar for this year. The Bal Puraskar awards will be conferred at a ceremony on November 14, while the date for Yuva Puraskar awards has not been announced. The Yuva Puraskar award comprises a casket containing an engraved copper-plaque and a cheque of Rs 50,000. Author Easterine Kire who hails from Nagaland is a winner for the Bal Sahitya Puraskar. Khangembam Shamungou is a winner of the Bal Puraskar for his anthology Mahousha Lairembigee Mashaigonda Thirushi Lao Yenglushi Lao in Manipuri. Tongbram Amarjit Singh is a winner of the Yuva Puraskar for his anthology Loubukki Manam in Manipuri. Sahitya Akademi is India’s premier literary institution, promoting and preserving literature in 24 languages.